Residential, Commercial & Industrial Properties all have the need for a safe, secure and dependable Access Control Gate Operator System, also known as an automatic gate operator or gate opener. Arrow Fence Co. is a local Minneapolis/St. Paul, MN installation expert when it comes to finding the exact fit for your property’s security needs. Our Fence Company deals with many clients that own or are responsible for properties that need to be easily accessed by a select few and secured off from all others. We will set you up with a lasting automatic gate opener, plus all the accessories that you see fit. 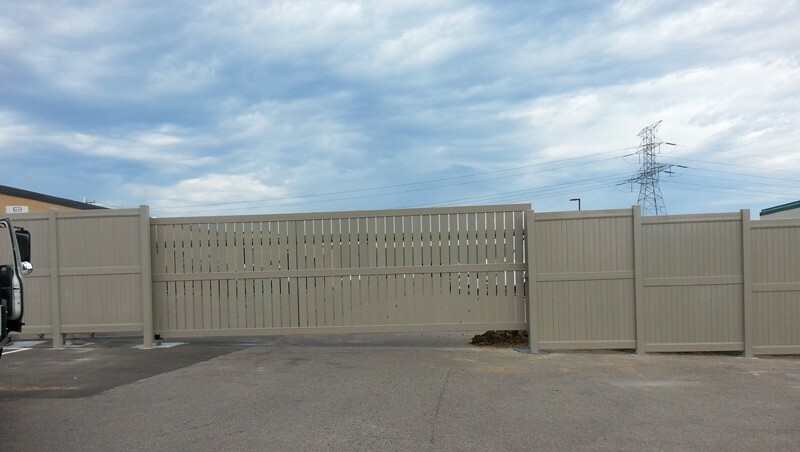 Our Fence Contractors offer more than 15 different Gate Operators to fit your specific application and they are all made and backed by LINEAR. Access Control & Gates are a critical element when making a property secure – no matter the property type. Dependable Enforcer – Peace of mind at night, smooth operation in the day. 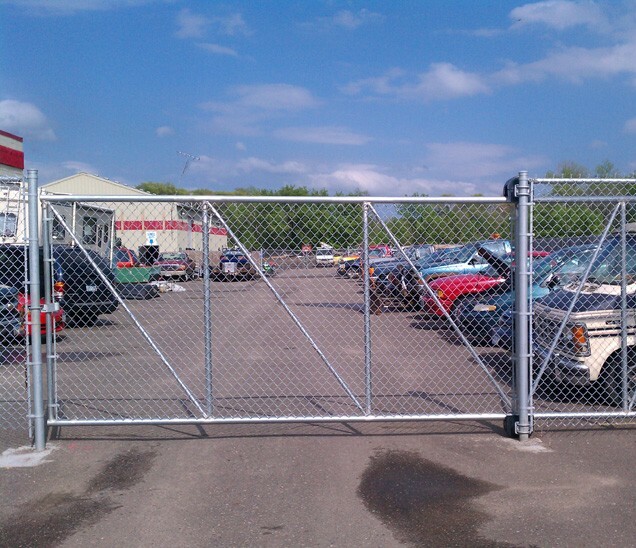 Keep crime, wildlife, unauthorized parking and other situations without clearance out of your property with a secure gate operator and fence that lets nothing in – unless authorized. Our advanced gate operators, coupled with our fence installation will have you enjoying an increased presence of security at all times of the day and night. Easy Authorization – With our selection of top manufactured products you can have many forms of authorization. Access control can be made simple with a clicker (much like a garage door opener), keypad, card reader, many brands also allow authorization right through your smartphone. Simple Usability – Because of our partnerships with industry leading manufacturers we have a good variety of options and our professional contractors are able to help you select the best options for your application and go through with you how to use it/set it up. Integrate it into your car, phone, or memory… Once installed, the gate opener with access controls will become a normal and familiar part of your day. Efficient Accessibility – Our gate operators allow you to be in control of your property 24/7 without jeopardizing its safety or yours. 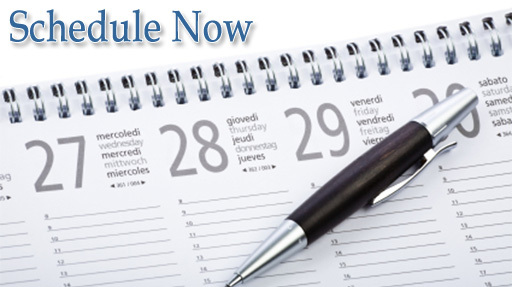 It will be hard at work whenever anyone authorized is coming or going and you won’t need to be contacted about it. 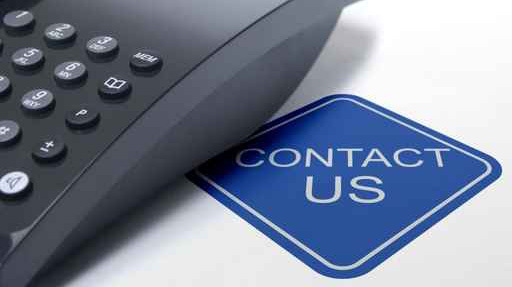 If your property needs security that is uncompromised – contact Arrow Fence Co. for an estimate on a professionally installed Access Control Gate System. Our Minnesota Fence Contractors can restore security and add beauty to your property, we can be reached at 763-755-0088 or email us at info@arrowfenceco.com.